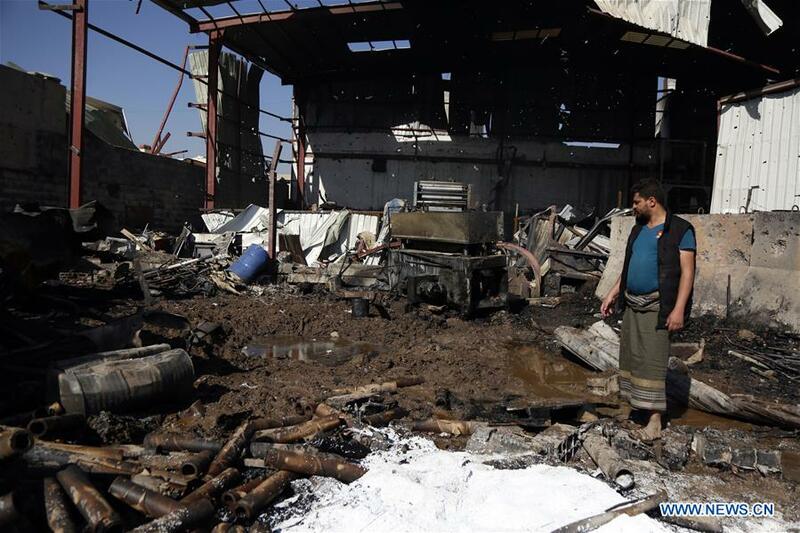 SANAA, April 10 (Xinhua) -- Saudi-led coalition involved in a war in Yemen struck on Wednesday two targets in Sanaa, Al Arabiya TV reported. The coalition spokesperson Turki al-Maliki said that the strikes targeted Houthi drones manufacturing plant and a store containing launch pads. There were no immediate reports of any casualties or damage. He highlighted that the strikes are an extension of military operations that targeted and destroyed an integrated network of logistical capabilities and facilities for Houthi drones, as well as locations where foreign experts are present. Saudi Arabia-led military coalition intervened in Yemen in March 2015 to support Yemeni President Abd-Rabbu Mansour Hadi after Houthi rebels forced him into exile and seized much of the country's north, including the capital Sanaa.